Browse our menu to select the service that’s right for you. Not sure what to choose? Contact us today for a consultation and to book your first appointment with us. Targeted therapy for active bodies in need of relief. Our most popular massage and what we believe is the most effective. Beneficial in alleviating chronic pain and muscle tension. A targeted massage focusing on a specific body region. Attention to be focused towards specific aches and pains. Rehabilitate the body and mind with a traditional Swedish massage. The healing modality Reiki attempts to balance and heal energy flow deficiencies. Cupping therapy consists of placing special cups on the body for therapeutic purposes. Add-on to your standard massage and enhance your experience. This treatment helps to exfoliate the skin. Soothe, condition, and moisturize the scalp. Maintain the benefits with follow-up sessions. Looking to book a massage therapist for an upcoming event? Contact us for a custom quote on massage services for groups. Are you aware that your insurance may cover your sessions with Mobile Om? We make booking a massage simple. Finding a massage therapist in Scranton who can come to you while delivering the right bodywork services can seem overwhelming. At Mobile Om, it’s simple: select 30, 60, 90, or 120-minute sessions and schedule at your convenience. Choose from deep tissue athletic massage or relaxing Swedish massage types, or contact Mobile Om to discuss your treatment needs. Mobile Om’s massage therapist Tony Clark has decades of experience﻿ in a variety of healing modalities and can work with you on a therapeutic massage treatment plan that offers results. Looking to make massage therapy part of your routine? Learn more about our 30/40 massage package. Mobile Om also offers cupping therapy to improve circulation and Reiki to bring your body’s natural energies back into balance. Plus, you can extend your treatment with a soothing scalp massage, skin-softening salt scrub, or any of the available add-on therapies. Our most popular massage and what we believe is the most effective. Mobile Om offers deep tissue massage at our therapist’s home near Scranton, or we can come to you and offer in-home massage treatment. Deeper pressure, employing firm and slow strokes, is used to reach innate layers of muscle and fascia, the connective tissue surrounding muscles. Like with all massage, you can give feedback to your therapist at any time regarding the pressure used, but expect a firm touch as your muscles are worked with. In addition, active and passive stretching techniques may be incorporated to increase your range of motion. In the days after your appointment, you’ll begin to feel the benefits of deep tissue therapy. This massage usually focuses on specific problems and is extremely beneficial in alleviating chronic pain and muscle tension by breaking up scar tissue and physically breaking down muscle “knots” or adhesions, which are the bands of painful rigid tissue which can disrupt circulation and cause limited range of motion, inflammation, and pain. Potential side effects of this massage may include soreness, fatigue, and some general aching and bruising. Those with active bodies, chronic pain, or muscle tension benefit from deep tissue massage as it provides much needed relief and care to the parts of your body experiencing the most stress or strain. Schedule your deep tissue massage appointment with Mobile Om today. Gain profound relaxation with Mobile Om’s 90-minute massage therapy treatment. Able to be scheduled in your home, hotel, or conveniently at our therapist’s home, our 90-minute massage ensures peace of body and mind. The additional time allows for extra attention to be focused toward specific aches and pain. Our therapist uses a blend of classic Swedish massage techniques merged with Trigger Point Therapy to rehabilitate the body and mind. Long gliding strokes and circular pressure are combined with firm kneading, percussion-like tapping, bending and stretching to deliver a relaxing and restorative state to your body. Having additional time to work on your specific tension areas or areas of concern means you receive greater benefits from your massage appointment. Additionally, massage therapy can aid in addressing a variety of health concerns, making it an ideal addition to your wellness regimen. Expect to feel relaxed and rejuvenated following your appointment. Anyone seeking greater relaxation, stress-relief, reduction of muscle tension, and improved well-being. 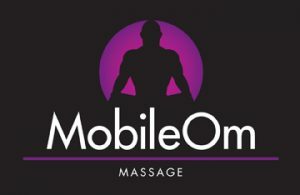 Schedule your massage appointment with Mobile Om today. You deserve an hour to relax. Let Mobile Om come to you. We deliver 60-minute massage appointments for relaxation in your home, office, or hotel. We also have appointments available in our therapist’s home, conveniently located near Scranton. All of our massage services offer stress and tension relief when you need it most. Your massage therapist will focus on providing full body relaxation while addressing any areas of pain or tension you may be experiencing. Additionally, massage therapy can aid in addressing a variety of health concerns, making it an excellent addition to your wellness routine. Expect to feel relaxed and rejuvenated following your appointment. Give your body a full hour of deeper care with our 60-minute deep tissue massage. Ideal for athletes, active bodies, or those seeking relief for chronic pain or tension issues. Mobile Om offers deep tissue therapy appointments at our therapist’s home, or we can come to your residence, office, or hotel. Cupping therapy can provide deeper relief by stimulating your body’s ability to remove toxins and boost blood flow. Make a 60-minute appointment for cupping with Mobile Om to experience the results it delivers. Offering convenient cupping therapy services at your location or in our therapist’s home. Cupping therapy is an ancient type of deep-tissue treatment that has been used for more than twenty-five hundred years and has proven effective in helping to improve blood flow to areas of chronic tension or pain. Cupping therapy consists of placing cups on the body and forming a vacuum on the skin, which expands your blood vessels while gently making the skin rise upward. The suction and negative pressure found in cupping therapy can loosen muscles, assist with myofascial release, aide in the removal of toxins, encourage blood flow, sedate the nervous system, and open meridians, providing greater energy flow. Additionally, some research suggests that cupping can be effective in aiding skin conditions and pain management. Pain management, toxin removal, and chronic tension. Schedule your cupping therapy appointment today. Several ancient cultures believed that energy flows through our bodies, affecting our well-being on many levels. Scientific research studies have shown that imbalances, disruptions, or blockages of these energy flows may lead to physical, emotional or mental illnesses. The healing modality Reiki attempts to balance and heal these energy flow deficiencies, leading to improved health and well-being. Mobile Om’s Reiki services are available in your home, office, or you may schedule an appointment in therapist’s home. Reiki is usually performed on a massage table as the therapist allows energy to flow through them to you. The therapist will place their hands on or near points along the body such as the head, hands, feet, shoulders, or stomach. Each recipient of reiki may experience different sensations. You may feel warmth or coolness as the therapist restores energy flow or a great sense of calm or relaxation (some people may fall asleep!). Reiki is a complementary healing modality for many health concerns ranging from headaches to side effects from chemotherapy. It reduces stress, improves our body’s ability to heal, and supports a greater sense of well-being. Anyone seeking relaxation or a greater sense of balance. Schedule a Reiki appointment with Mobile Om today. On the go? Our 30-minute deep tissue medical sports massage offers a massage therapy option that is well-suited to those on the move. Deep tissue massage offers relief for active bodies and can address a variety of tension and range of movement issues. Mobile Om can perform this deep tissue massage service at your home, hotel, or in our therapist’s home. As a 30-minute add-on to your existing appointment, cupping therapy can provide deeper relief by stimulating your body’s ability to remove toxins and boost blood flow. Mobile Om delivers cupping therapy in your home, office, or another location of your choosing. We also offer convenient appointments in our therapist’s home. Let’s face it – we are not kind to our skin. Environmental pollution, free radicals, sun exposure, and incomplete diets are just some of the ways we put our skin to the test. Our skin is the largest organ of elimination for toxins, and maintaining its integrity should be part of every health regimen. It deserves some T-L-C and Mobile Om offers just that with our 30-minute salt scrub. Available with in-home or in-hotel appointments only. Dead Sea Salts, which contain 21 beneficial minerals including magnesium, potassium, calcium, bromide, and sulfur, are combined with a moisturizing blend of aromatic coconut and almond oils. The blend is then gently massaged into the skin as you relax and enjoy the invigorating exfoliation. You may further customize this service with a choice of the following essential oils: Eucalyptus, Peppermint, Lemongrass, or Lavender. As mentioned, Dead Sea Salts contain nourishing minerals while the coconut and almond oils gently condition and moisturize your skin. This treatment also helps to exfoliate the skin while stimulating the circulatory and lymphatic systems, aiding in the release of toxins and cell turnover. Skin exfoliation and nourishment or those seeking an invigorating massage with skin care benefits. Schedule your salt scrub appointment with Mobile Om today. As an enhancement to your appointment, a 15-minute scalp massage can be the perfect way to relax, unwind, and truly pamper yourself while improving your scalp and hair health. Available as an addition to all bodywork services. Cedarwood: Warm. Normalizes dry and oily scalp. Clary Sage: Calming. Ideal for all hair types. Rosemary: Woody. Top essential oil for hair thickness and growth. Peppermint: Invigorating. Ideal for dry hair types. Scalp massages increase the production of serotonin, a chemical in your body that increases your mood, lending to stress relief and relaxation. Scalp massage can also improve circulation to your skin, aiding with dryness and promoting healthy hair. Anyone seeking greater relaxation, or improved hair and scalp. Schedule an appointment with a scalp massage add-on with Mobile Om today. Regular massage therapy can produce long-term results, therefore we recommend making massage a part of your wellness regimen. Mobile Om offers a follow-up plan to your 60- or 90-minute massage, in which a series of four 30-minute weekly sessions are booked to maintain the restorative benefits of your massage. Plus, Mobile Om can come to you with convenient in-home or in-hotel treatments. Following your 60- or 90-minute massage, ask your therapist to schedule 30-minute upkeep sessions in the weeks following your appointment. Each of the four session prices is reduced to $40, lending a total savings of $40 for the whole package. This plan is for in-office only and must be purchased within one week of full massage service. Additionally, our 30 40 Treatment Plan makes a wonderful gift for someone as they can receive the restorative benefits of massage for a longer term. Anyone who wishes to extend the benefits of his or her Mobile Om massage appointment by making an investment in upkeep. This is truly the best way to experience powerful results. Ask us about our 30 40 Treatment Plan for ongoing massage therapy. Mobile Om offers massage therapy services in Scranton, Wilkes-Barre, the Poconos, and beyond. If you’d like Mobile Om to come to your home, hotel, event, or office, call or email to learn more about our mobile therapy options. It’s never been easier to bring massage to you! Google Maps will be used to calculate additional travel charges. Relaxation is only a click away.